An all-in-one resource containing more than 15 years of research on the JFK assassination. A map through the jungle of statements, testimony, allegations, and theories relating to the assassination of John F. Kennedy, this compendium gives readers an all-in-one resource for facts from this intriguing slice of history. The book, which took more than 15 years to research and write, includes details on all of the most important aspects of the case, including old and new medical evidence from primary and secondary sources. 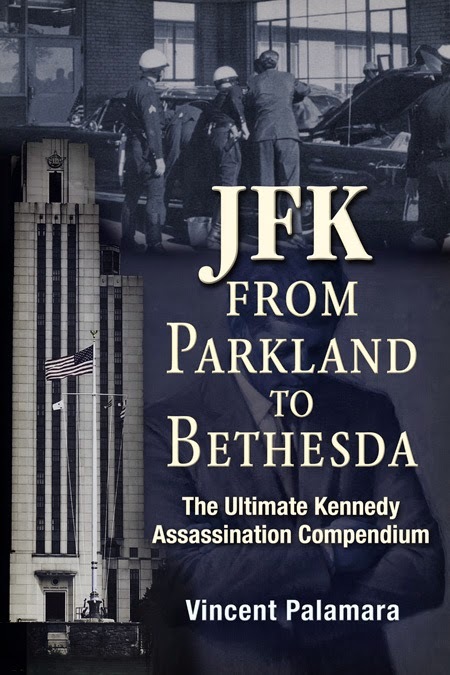 JFK: From Parkland to Bethesda tackles the hard evidence of conspiracy and cover-up and presents a mass of sources and materials, making it an invaluable reference for anyone with interest in President Kennedy and his assassination in 1963. Author Bio: Vincent Palamara is the author of Survivor’s Guilt and an expert on the history of the Secret Service. He has appeared on the History Channel, C-SPAN, and numerous newspapers and journals, and his original research materials are stored in the National Archives. He lives in Pittsburgh, Pennsylvania.